The Traditional Broom is our most popular broom, durable, functional, and a beautiful conversation piece. It is useable on any surface and is a perfect choice for any indoor or outdoor living space; floors of wood, tile, marble, or sidewalks, decks, and porches. The broom has a long, Sassafras handle that is smooth to the touch but retains the natural appearance of the wood, giving every handle its unique character. If you visit us in person at a craft fair or demonstration you will have the opportunity to choose a handle that suits you. 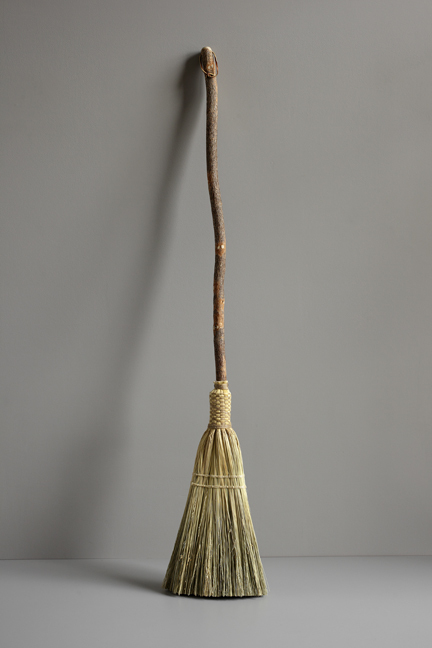 The head of the Traditional Broom is stitched flat in the design pioneered by the Shakers, and is attached to the handle with a decorative weave of broomcorn stalks.